QuickCompany Review- Making Company Registration Easier! You must have heard many times about the trademark violation news. Recently the one which I found was related to the Bollywood superstar Mr. Salman Khan who owns KhanMarketOnline. As Salman Khan is associated with this venture and so it got fantastic publicity and business very quickly. But if you are from Delhi side or know about it, you must have come across a great Delhi market called Khan Market. Both sounds similar…right? Yes, but as Khan Market didn’t make their name as a copyright symbol and so they are unable to go legally further. This is a very typical scenario, and hundreds of such incidents occur every year. Most of the times the old company doesn’t own any copyright status of the brand name and so loose the case legally. But have you thought why this is happening? If you look into this, you will find in most of the cases business owners don’t have much focus on this legal stuff because of hectic processes. Especially if you are owning a startup or working on it, you should immediately go for the registration of the company and make your idea/product/symbol copyright material. Although this is not as easy as it seems to tech startups in the legal fields like QuickCompany are making the process smooth and easy for us. Let see how QuickCompany is helping you to do these processes easily in this QuickCompany Review. QuickCompany is one of the fastest growing successful online business company based in Gurgaon. 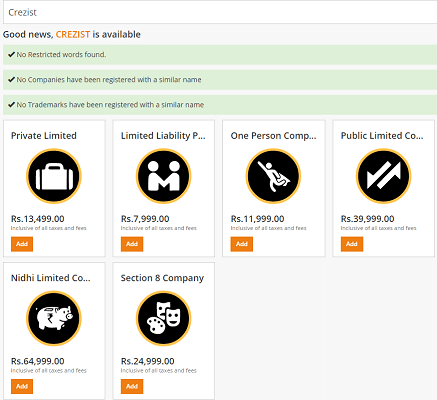 It is committed to helping entrepreneurs by offering quick service for registering companies and trademarks in India with peace of mind at an affordable price. The whole process is very transparent, and anytime if you don’t like the service, you can ask for the money back except the government fees. 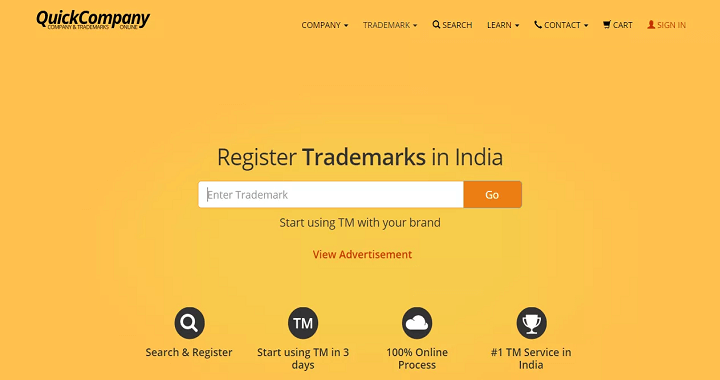 QuickCompany aims to level the playfield for the growth of Startups and Entrepreneurs by taking the bureaucracy out of India, and simplifying the Company and Trademark registration procedure, something we have been following since British Victorian governance so that we can truly “Make in India”. We will go into details on all the services one by one and will see how it is helping you. Here are some of the useful services provided by QuickCompany especially for the startups. You can give your idea and name as a company with QuickCompany. The process is very smooth and hardly will take around 15 days. To get started, just browse to the home page and provide the name of your company you want to register. So once you search the name of the business you want, their system will show you whether previous records exist or not. If records don’t exist, then you can continue. Later it will show you the different pricing options available to them depending on the kind of company you want to register. Here are three common type of registration people do and their details. In India, startups usually prefer PVT LTD as there are several benefits under this. LLP is also getting momentum, and you can go for it as well. For PVT LTD, it usually takes 15-20 days while for LLP the duration is around 25-40 days. You will also have to provide some formal documents for the legal stuff. A trademark registration helps you to save your brand. Multiple times when you buy a domain or keep the name similar to an existing brand, you find owner receiving a fair warning. This is due to the trademark registration. So if you want to be in the long run, make sure you are registering your trademark so that someone else won’t make it for their dream. QuickCompany charges a total of INR 5499 for the whole process. QuickCompany also provides tax-related services like service tax registration and import-export code. You can apply for the service tax registration if your annual business income is over INR 900k. The whole process including government charges costs you around INR 3k and will take around 10-25 days to get the whole process completed. Here are certain docs requires to get your service tax registration number. Starting a company is not a big deal but making through the process takes time. I have seen multiple people not registering their company as they just don’t want to fall into this legal stuff. QuickCompany is making these process simpler by taking care of all the legal stuff. All you have to do is, just select the work you want to get done and submit the document. Do try QuickCompany services and share your feedback with us.